Overview: On certain camping trips, getting a shower isn’t an option. Still, nothing takes the edge off of a long day in the sun better than cleaning up and relaxing. The hard truth is if you are sticky, sweaty or uncomfortable while camping, your experience just isn’t as enjoyable. So, what do you do? 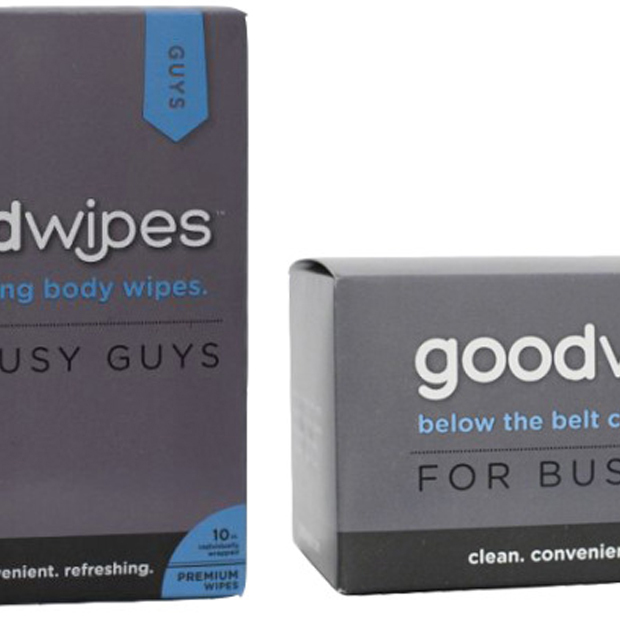 Fortunately, Goodwipes has developed an excellent deodorizing body wipe solution that will surely make your time camping a little more enjoyable. What Makes It Unique: With cooling Tea Tree Oil, Peppermint, and Ginseng, not only do Goodwipes deodorize, they actually have a cooling effect that leaves your skin feeling great. 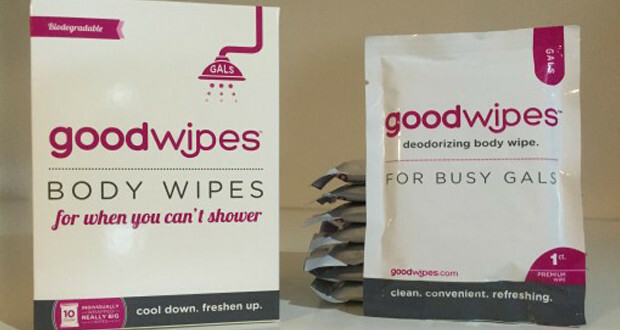 Goodwipes are big. 9.5 x 11” big. You can clean your entire body with a single wipe. 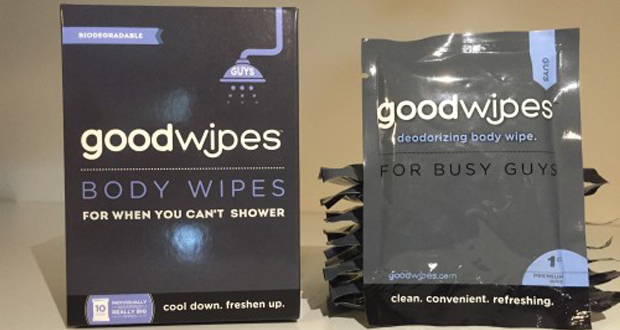 Goodwipes are made with eco-friendly ingredients, pH balanced, alcohol-free, and hypoallergenic. Plus, they smell great. The body wipes do not have an overpowering “perfume” smell and leave your with a hint of lemon and a natural tea tree oil. No longer will you smell like a baby from baby-wipes. All this adds up to a wipe that will leave you feeling clean and refreshed and won’t dry your skin out or make you feel sticky. We’ve tried them all and love them. 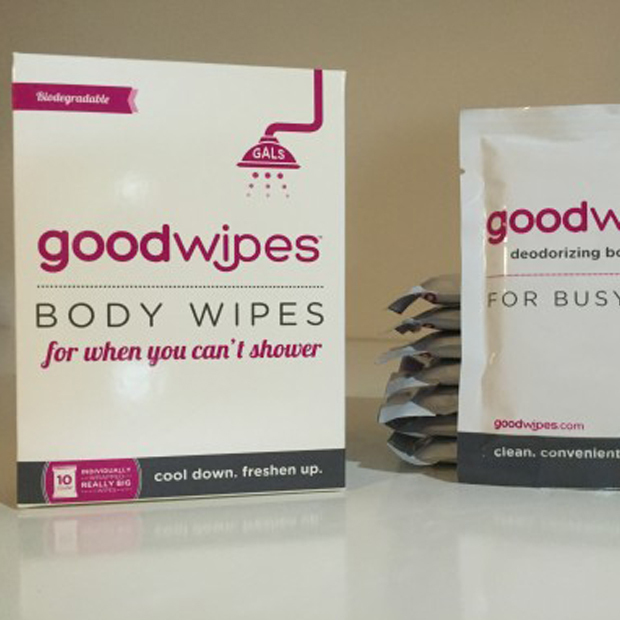 Visit Goodwipes’ website to check them out and orders your today.